A well presented 5 bedroom property situated in a tree-lined road in Mill Hill within walking distance to Mill Hill East station and local amenities. The ground floor boasts a bright and spacious living room, leading onto a dining room, in addition to a separate fully equipped kitchen/breakfast room and ample storage. 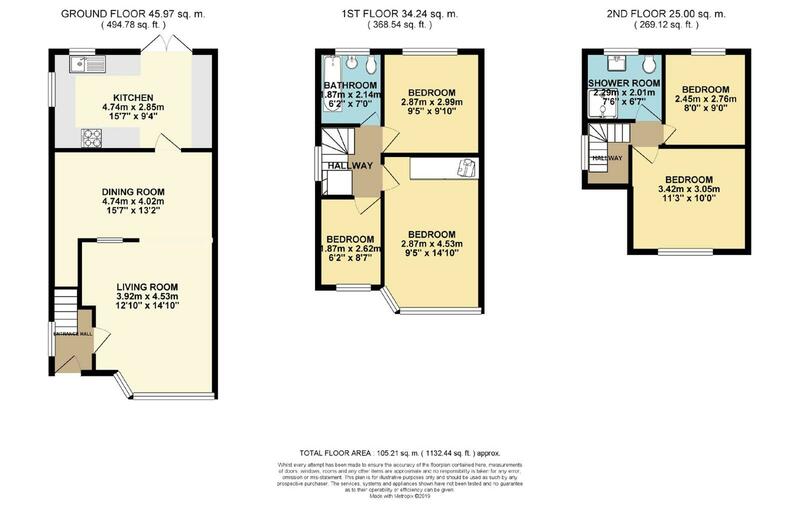 The first floor boasts a spacious master bedroom, 2 further bedrooms and a family bathroom. The second floor consist of 2 double bedrooms and a further bathroom. the garden consist of a paved patio area and grass area with a separate annex in the garden.